The AIDS crisis both devastated and galvanized the LGBT community. The scale of the crisis took people unawares and the initial inertia of the state led to the LGBT community seizing the initiative and setting up support and campaigning groups. 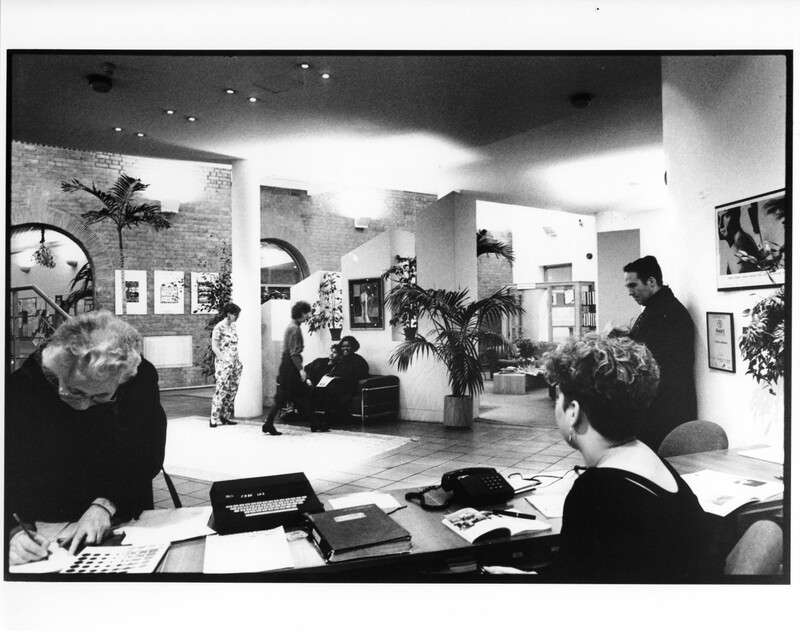 The London Lighthouse was the UK’s first centre for people with HIV and AIDS, offering respite and terminal care. 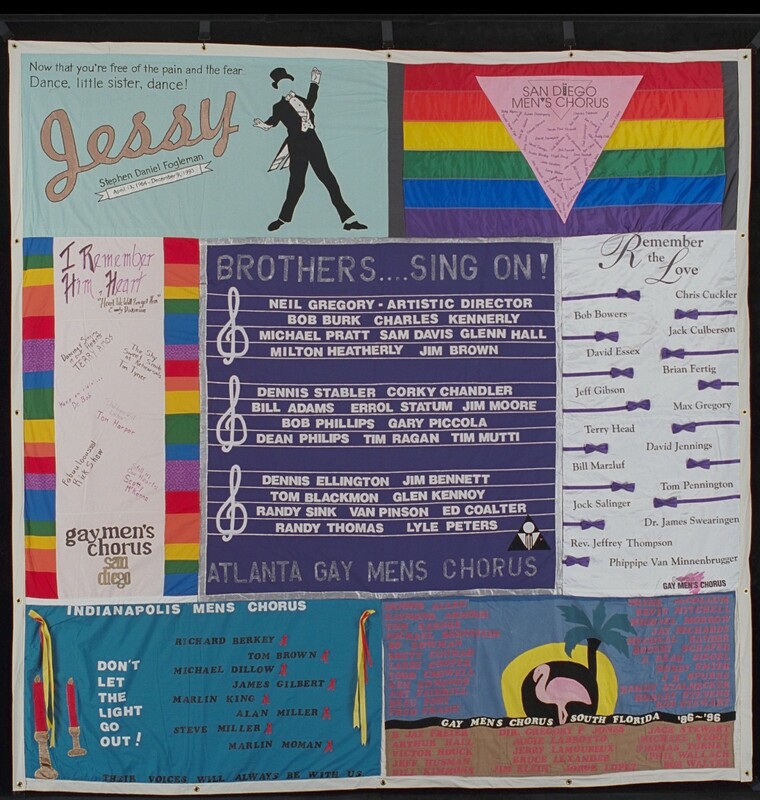 The Pink Singers rehearsed there and performed many concerts in support of its work at a time when many friends and family were affected by the AIDS crisis. 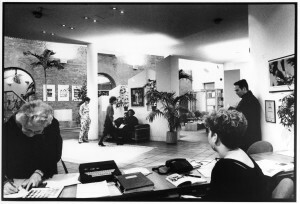 Candles would be lit in its reception area at Ladbroke Grove (pictured) to mark those who had died during the week. London Lighthouse became part of the Terrence Higgins Trust in 2000. Friends and members of the choir were, and are, HIV positive. Although HIV is now a manageable chronic condition for most people, it still affects people in the choir today. It also continues to be a condition seldom talked about. 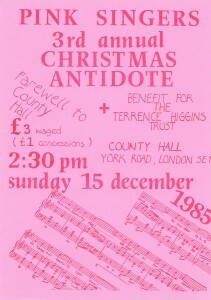 The Terrence Higgins Trust was formed the same year as the Pink Singers. The Eddie Surman Trust, which operates Positiveline, is another organization which has meant a lot to some of our members. Several work in sexual health. 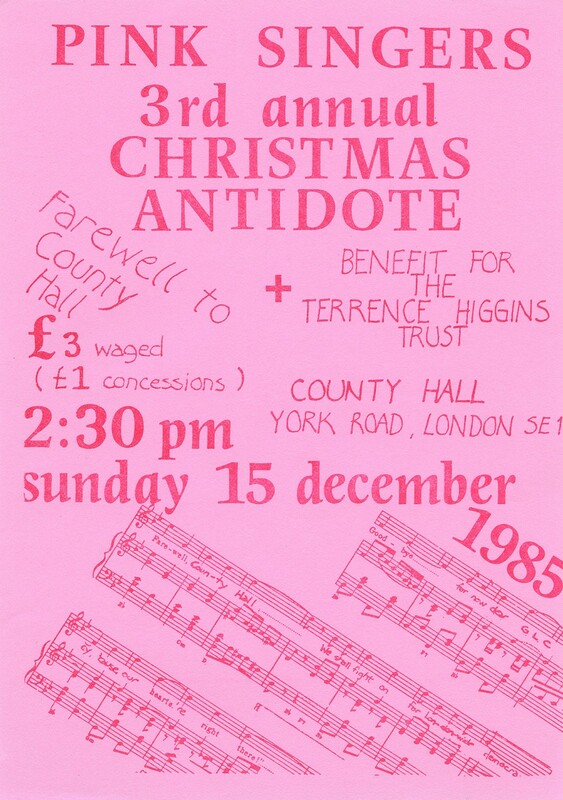 The poster for our third Christmas Antidote concert illustrates two of the choir’s main concerns in its first decade – support for AIDS services and opposition to Conservative policies. County Hall, the home of the Greater London Council, was a rehearsal space for the choir. The GLC was abolished by the Local Government Act of 1985, after a bitter battle between its Labour leader Ken Livingstone and Margaret Thatcher’s Conservative government. The GLC under Livingstone championed minority issues including LGBT rights. It funded organisations like the Terrence Higgins Trust, the London Lesbian and Gay Switchboard (where one of our members worked for 10 years) and the London Lesbian and Gay Centre (a future Pink Singers’ rehearsal venue). The social stigma attached to AIDS in the 1980s meant that some who died did not have funerals. In 1987, Cleve Jones, an American activist, unveiled a giant quilt on the Mall in Washington DC, made of panels commemorating people who had been lost to AIDS. The sheer scale of the AIDS Quilt was an emotive representation of the numbers of people affected. It has continued to grow and now incorporates over 94,000 names. 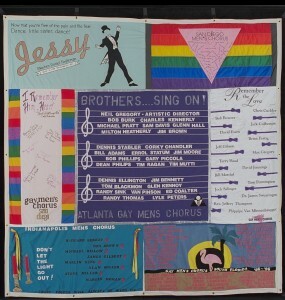 The Pink Singers performed with the Gay Men’s Chorus of South Florida on our first trip to the USA in 1990. The mayor of West Palm Beach declared the day of the performance ‘Pink Singers Day’. Their square of the AIDS Quilt is in the bottom right of this picture. Symbols of support helped to improve visibility. The red ribbon has become an internationally recognized symbol for AIDS awareness, worn by people throughout the year in visible support of people living with HIV and in remembrance of those who have died. 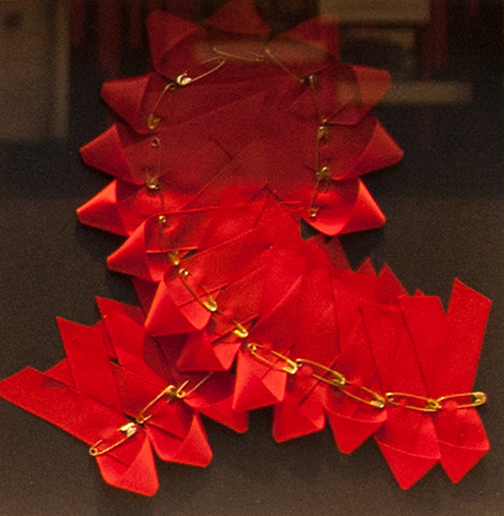 The Ribbon Project was started by the New York-based Visual AIDS Artists Caucus in 1991. Protest groups highlighted lack of treatment and funding for people with AIDS. ACT UP (Aids Coalition To Unleash Power) was formed in New York in 1987. It used non-violent direct action, often including dramatic acts of civil disobedience to target key institutions, like the Food And Drug Administration (FDA), and pharmaceutical companies in America. In the UK, their protests helped to reduce the price of antiretroviral therapy drugs. The inflammatory way the religious right in America framed the debate influenced tabloid coverage in the UK. In 1983 Reverend Jerry Falwell, an evangelical Christian lobbyist, made an infamous speech demanding that President Reagan take action to protect ‘innocent Americans’ against the ‘gay plague’. In doing so, he angered the White House, which would rather have ignored the growing epidemic indefinitely, and homosexual activists, who were upset by his characterization of the disease. Falwell is also known for publically outing the Teletubby, Tinky Winky, on the evidence that ‘He is purple – the gay-pride colour; and his antenna is shaped like a triangle – the gay-pride symbol.’ Falwell also noted that Tinky Winky carries a handbag, although television executives insist that it is actually a ‘magic bag’. 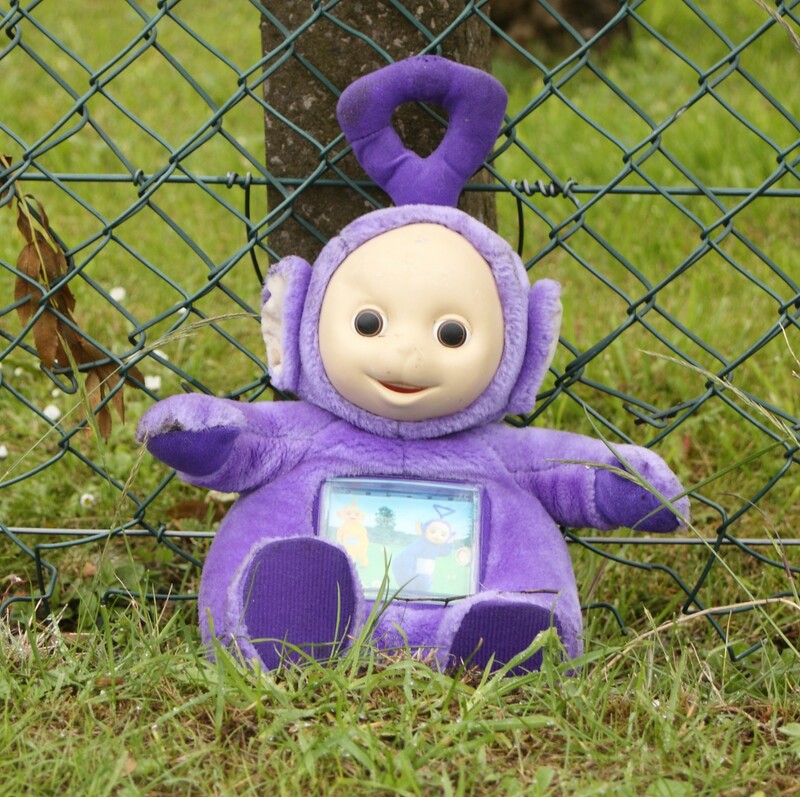 High profile deaths increased public awareness. 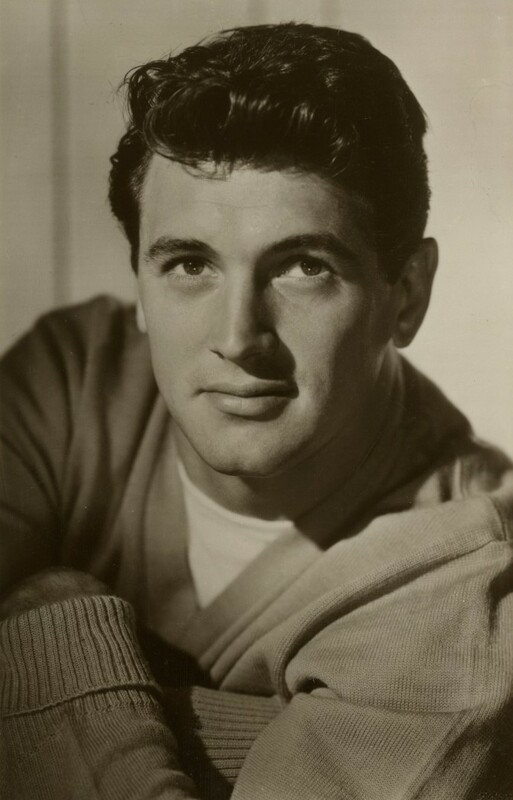 In 1985 Rock Hudson died within three months of announcing he was HIV positive. Hudson was one of the most prominent closeted stars of Hollywood, and one of AIDS’ most famous victims, dying of the disease when it, and homosexuality in general, were still very much taboo. 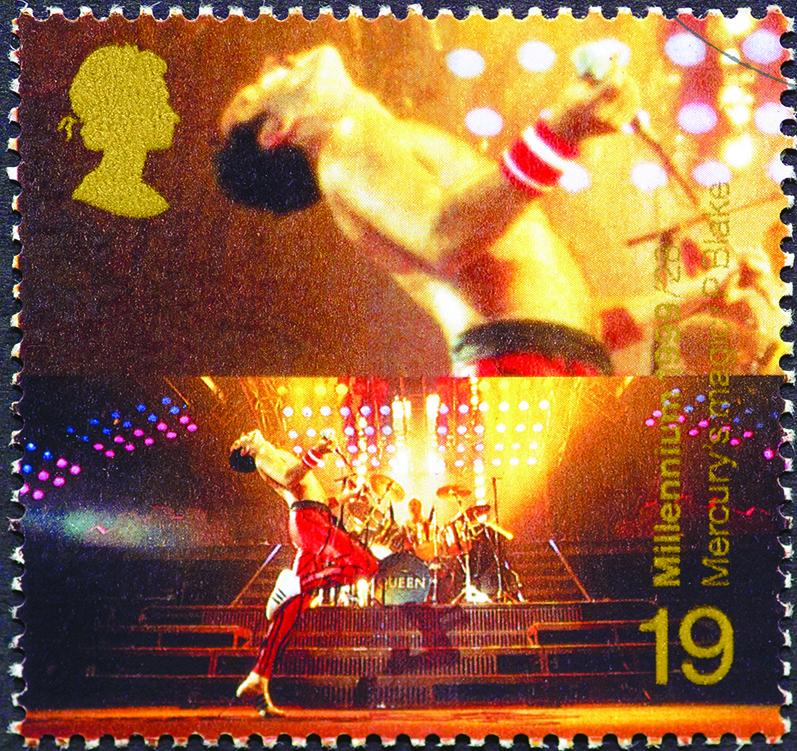 Freddie Mercury died of AIDS-related pneumonia in 1991. 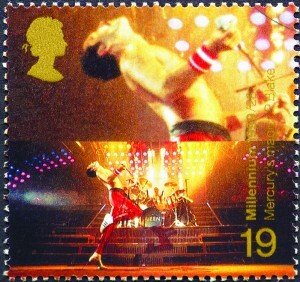 A household name through his career as the frontman of pop band Queen, he is the disease’s most famous British victim. From the mid-1990s, antiretroviral therapy (ART) began to have an impact on slowing AIDS deaths. Today the development of multi-drug combination therapy for treatment of HIV disease is considered one of the great success stories of modern medicine. In a decade, AIDS changed from a nearly universally fatal and catastrophic diagnosis to what is now often a manageable chronic illness. However the picture is not rosy. The World Health Organization estimates that there are 34 million people living with HIV as of 2011. Many of those living in poorer countries do not have access to antiretroviral therapy. The number of people living with HIV in the UK is growing. Approximately 100,000 people lived with an HIV+ diagnosis in the UK as of 2013. One in seven gay men on the London gay scene had HIV. Some of the growth shown by the statistics can be put down to the longer life expectancy which treatments have brought. But this is not the full picture. Many people with HIV and AIDS still feel that there is stigma attached to the condition and are reluctant to ‘come out’ as having it, or even to find out their HIV status in the first place. Charity organisations and local health authorities continue to campaign to normalise HIV testing and encourage individuals from higher risk communities to test, as it is through greater awareness that the disease can be managed and onward transmission reduced.